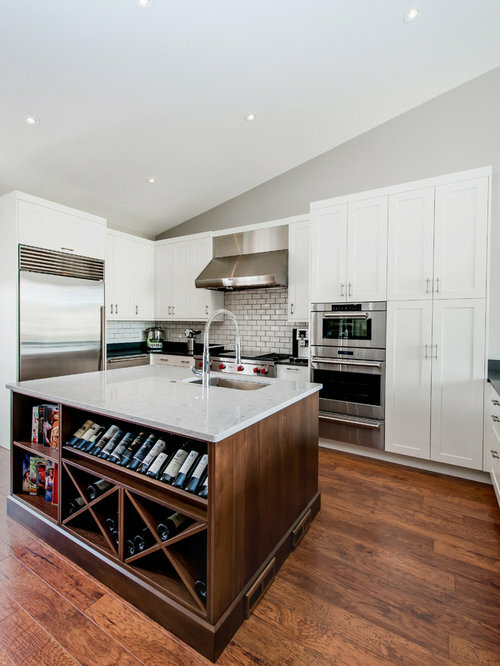 This transitional style kitchen is done in timeless matte white lacquer and flat cut domestic walnut veneer. 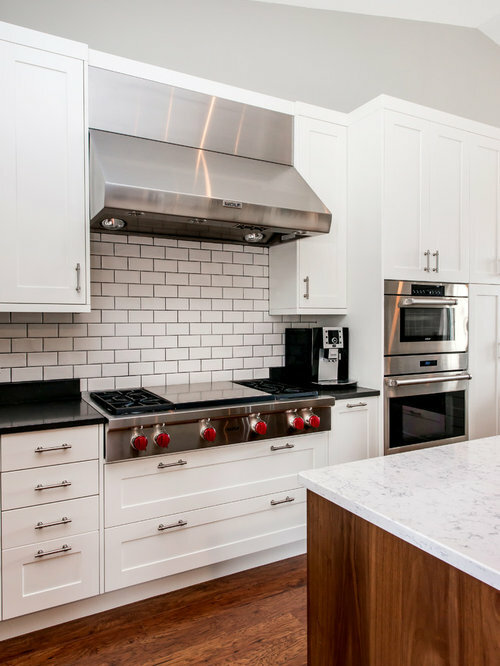 This matte white lacquer kitchen features shaker style doors along with flat doors to create visual appeal. 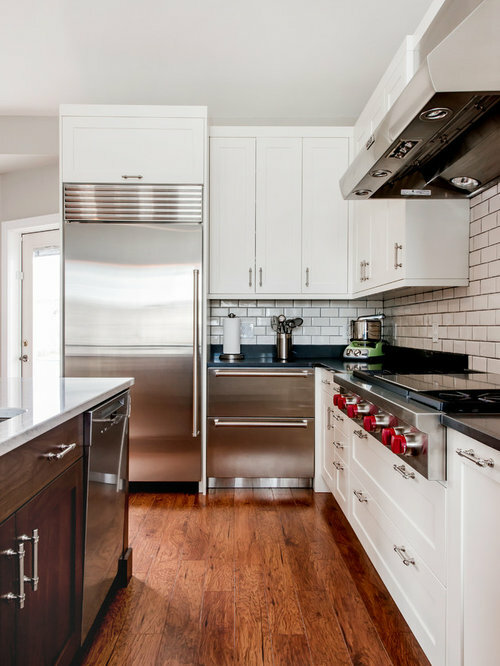 Stainless steel fridge drawers allow for extra storage and add to the functionality of this transitional style kitchen. 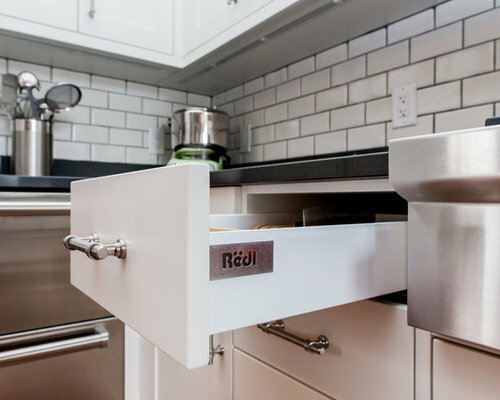 Full extension, soft close white intivo drawers give full access to the contents. 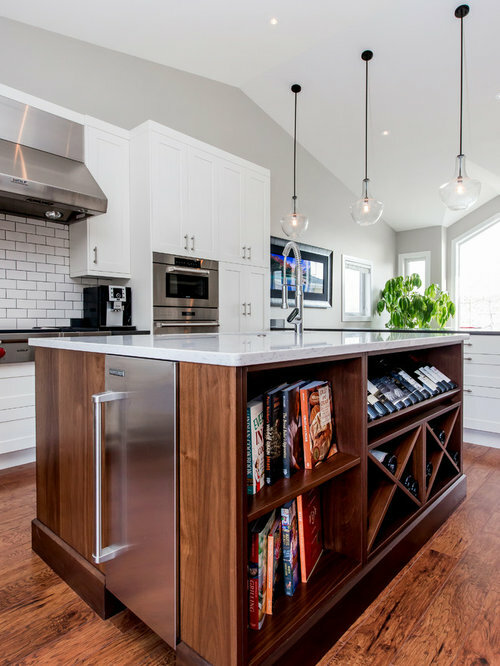 Stainless steel ice-maker is built into the walnut island for simple access. 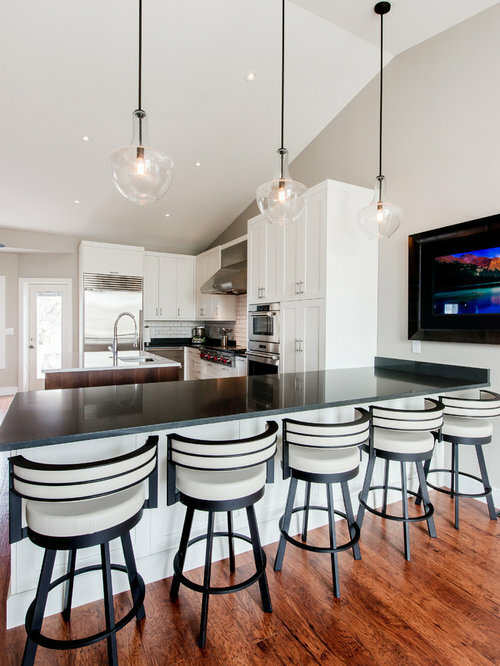 Eating bar done in matte white lacquer offers ample seating for five.